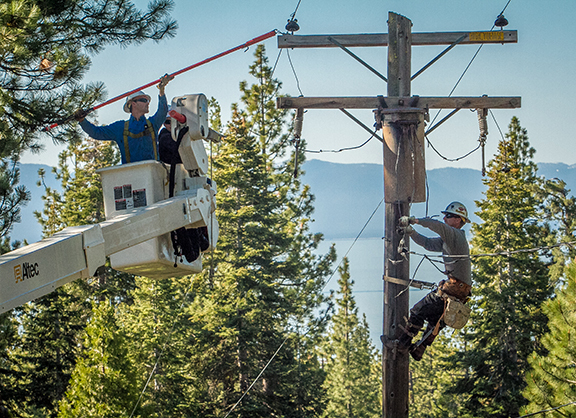 Liberty Utilities serves nearly 50,000 electric customers in one of the most pristine areas of the country: the Lake Tahoe region of Northern California. Known for its clear, blue waters, Lake Tahoe is an alpine lake fed by surrounding snow-capped mountains. Numerous ski resorts dot the landscape, including Squaw Valley Resort, which is one of Liberty’s largest customers and was the site of the 1960 Winter Olympics. As you might imagine, Liberty Utilities is a winter-peaking utility. Nearly 50 percent of its customers consist of second homeowners, mostly from the San Francisco Bay and Los Angeles areas. Therefore, the utility’s highest demand typically occurs during the week between Christmas and New Years, when families are in their homes enjoying Tahoe’s postcard-perfect winter holidays. Regardless of where they reside, Liberty’s customers have one thing in common: they appreciate and want to preserve the beautiful Lake Tahoe environment. Drive down any major road leading to the lake, and you’ll see bumper stickers declaring, “Keep Tahoe Blue.” As the local electric provider, Liberty Utilities embraces that battle cry and goes even further to help keep Tahoe green. Like many electric utilities, Liberty Utilities has demand-side management programs focused on educating customers about energy-efficiency options. While traditionally promoted as saving money by reducing energy use, Liberty also advocates these programs to reduce their customers’ carbon footprint. Liberty’s customers rank getting information on energy and cost savings as a priority (as important as rates information). Combining Liberty’s energy-efficiency opportunities with an environmental commitment strengthens this message. The latest survey showed more than 60 percent of Liberty’s customers are aware of its energy-efficiency programs, and 71 percent believe the company encourages conservation — up from 64 percent just five years earlier. Customers are not only aware of Liberty’s energy-efficient programs and the positive impact conservation can have on the environment, they also participate in those programs. In 2016, Liberty’s energy auditors performed 25 percent more free energy audits than the year before. The 461 participating customers implemented some, if not all, of the energy-saving recommendations, which resulted in a total energy savings of 391 MWh. The utility also offers energy-efficiency programs to school districts in its service territory, mostly focused on lighting retrofits. In 2016, Liberty initiated seven school projects, resulting in an additional 457 MWh of energy savings. Earlier this year, Liberty presented a rebate of nearly $20,000 to the Tahoe Truckee Unified School District for improvements made in 2016. In addition to the rebate and reduction of energy use, the school district will also see an annual savings of $15,700 in its energy costs. Operating within California, Liberty Utilities adheres to some of the most proactive and, some may argue, aggressively regulated environments in the country. Liberty negotiated to eliminate all coal-fired energy sources from its purchased power agreement (PPA) whenever possible, starting last year. This decision was applauded by the local Sierra Club and other environmental groups, as well as its customers, and probably contributed to the utility’s strong environmental stewardship rating that year. In February 2017, the company’s new 50-MW Luning Solar Energy Center came online and now supplies 25 percent of all of Liberty customers’ energy needs. In addition to supplying green energy, the new solar plant is competitively priced compared to other energy sources. After the first five years of operation, when the solar plant debt is significantly paid down, kilowatt-hour costs will drop each year for the next 25 years, given solar energy’s cheap operational costs. Luning Solar is the first solar energy generating facility owned by Liberty, but the company is already planning for an additional 10 MW to be added by another facility in 2018. These solar facilities, along with the pursuit of other renewable-energy sources, help Liberty meet California’s current Renewable Portfolio Standard (RPS) of 27 percent of its total power mix, and will help it meet this ever-increasing mandate in the future. It’s no surprise that transportation is now the largest contributor of carbon emission in the U.S. for the first time in 40 years. 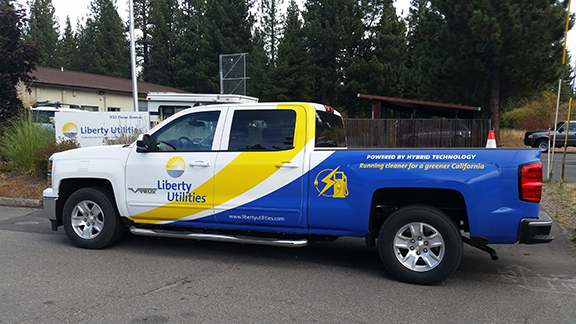 While Liberty Utilities’ fleet is relatively small (67 vehicles to date), it is important to replace gasoline-fueled vehicles with alternative-fuel vehicles whenever possible, given carbon emissions’ impact on Lake Tahoe’s air. Currently, 30 percent of Liberty’s fleet vehicles are alternative-fuel or hybrids. The utility has plans for high-performance, renewable diesel vehicles by the end of the year, which will help meet its corporate goal of 80 percent alternative-fuel fleet vehicles by 2018. In early 2017, Liberty received permission from the California Public Utilities Commission (CPUC) to offer time-of-use electric vehicle rates to residential and small commercial customers who wish to charge their electric vehicles during off-peak periods. While customers can sign up for these discounted energy rates now, Liberty has filed an application with the CPUC asking for permission to offer additional EV incentives, including rebates for customers who install home and small business charging stations. The company’s proposal would offer a $1,500 rebate for residential customers and a $2,500 rebate to small business customers. The utility recently hosted an EV summit in pursuit of electric vehicle use around the Lake Tahoe region. It was attended by a small-but-mighty group of governmental agencies, vendors, ski resorts, environmentalists and customers. The utility is working with the local bi-state, federal planning agency to identify potential charging station locations. It is also coordinating with the local transportation district to help them meet their charging needs for new all-electric buses they may purchase. Once the CPUC approves Liberty’s plan, it is anticipated that a dozen or more charging stations would be installed at key locations, enabling EV drivers to complete trips around Lake Tahoe’s 71-mile shoreline. The company has electric charging stations at its two office locations in Tahoe Vista and South Lake Tahoe, which are available at no charge to customers on a first-come, first-serve basis. As solar and other renewable energies become more competitive and feasible (and technology advances are made to extend the range of electric vehicles), Liberty Utilities will continue to pursue these energy options to be both environmentally responsible and responsive to its customers’ needs. 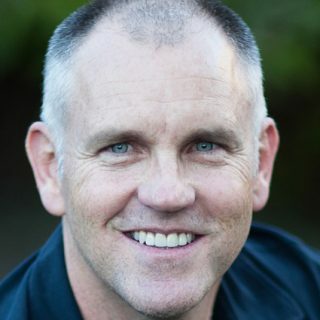 Travis Johnson is vice president of operations at Liberty Utilities. He has nearly 25 years’ experience in the utility business. He joined Liberty Utilities in 2014 coming from NV Energy, and has a passion for the environment.